I have plans to try this out tonight in the slow cooker, hopefully it works out well. 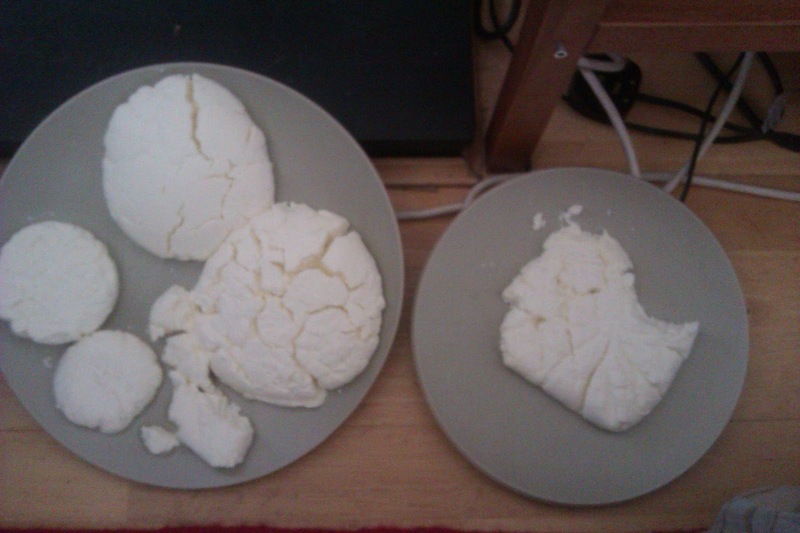 and it works well, even using the excuse for yogurt that I made and drained for too long in the heat last week. a cool box as the ambient temperature at the moment is certainly above 14 degrees. There is now also 2.5L of whey available for baking, I hope to share a wonderful recipe for whey yeast bread next time. I got some quality time with my sewing machine this weekend, I finished off a project that was started two years ago, seriously, it did not take too long to finish it, will post pictures next week. I am realising that finishing off projects is a great way to deal with clutter. I am still working on my dress for the hen party, I hope to finish it off tonight and be able to post some pics of it next week. Now is a good time to harvest raspberry leaves that can be dried and used as an infusion to help alleviate period pain (cramps). 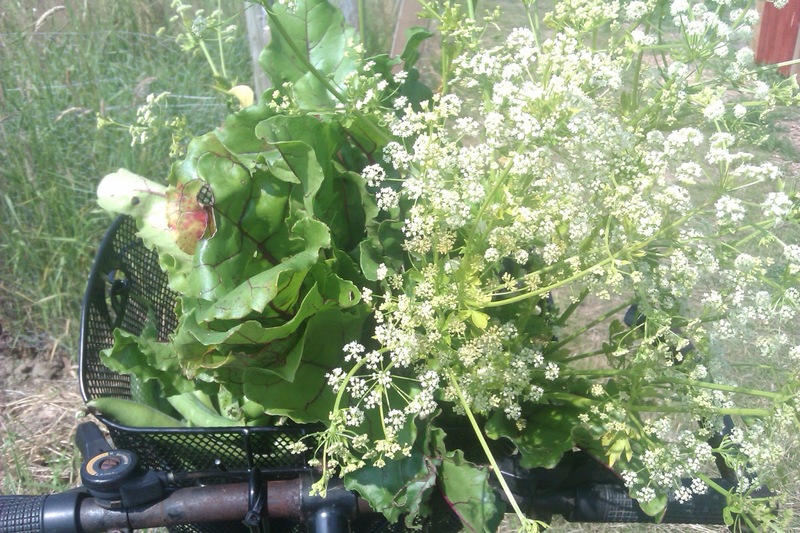 The allotment this week supplied us with peas, broad beans, beetroot roots and leaves, strawberries, borage flowers and some tuberous rooted- parsley flowers that make a lovely cut flower (pictured). If you want to, you may leave a comment on the blog letting us know what things you have been making and experimenting with making or growing. Good to know about the use of raspberry leaves. Didn't know either that beetroot leaves are edible to eat. http://www.lakeland.co.uk/3440/Electric-Yoghurt-Maker - this is a great simple cheap gadget for making yogurt. I 've been using it for years and get nice creamy goats milk yogurt every time with little or no effort.